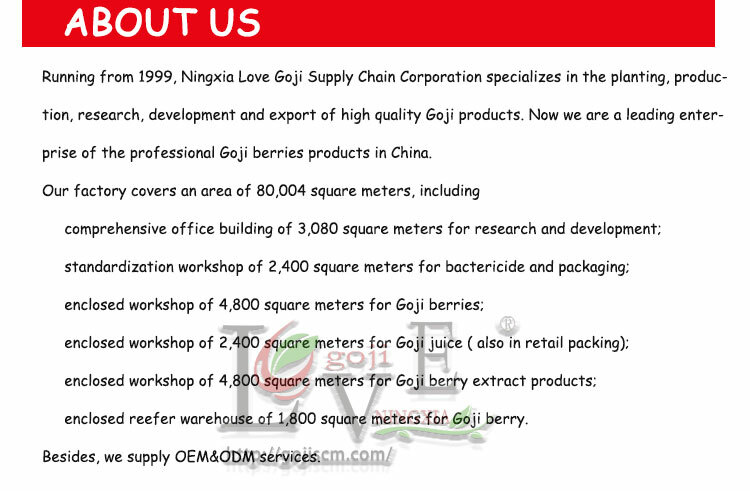 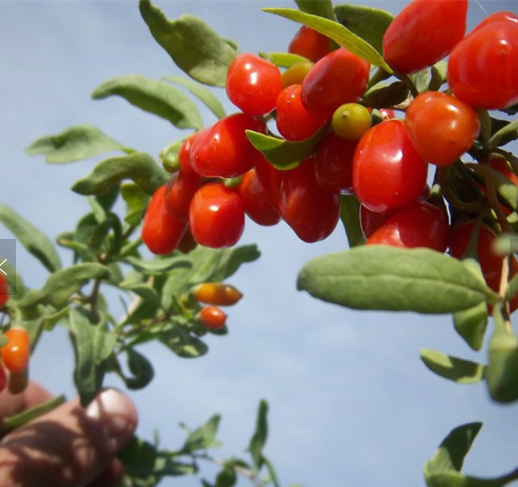 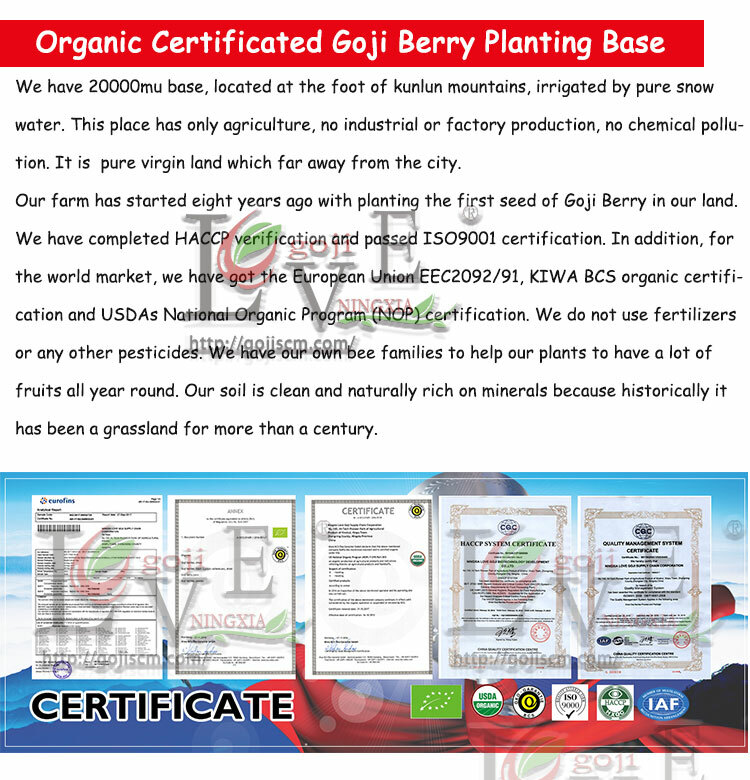 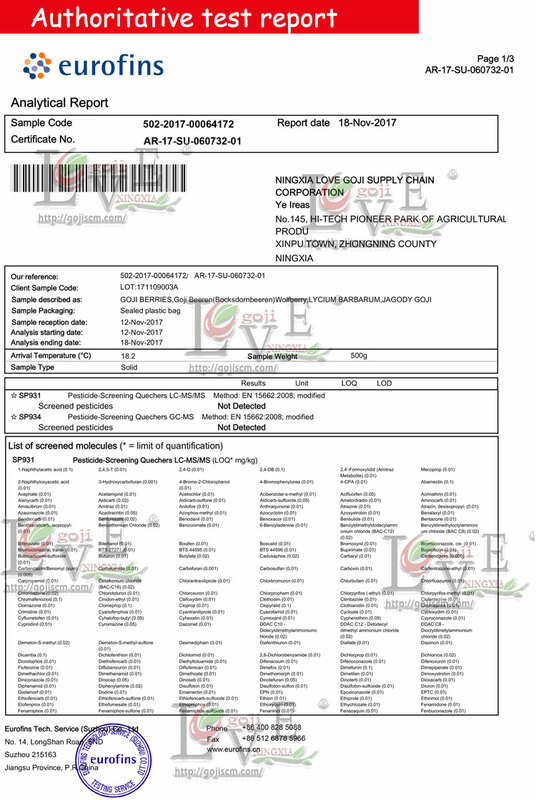 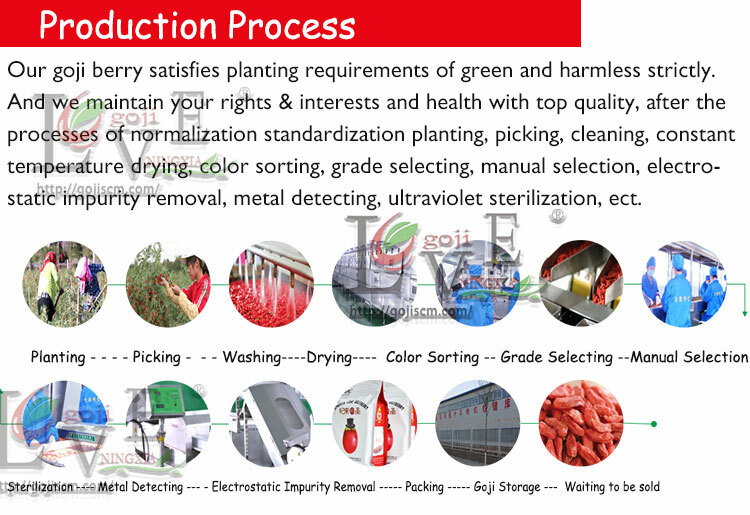 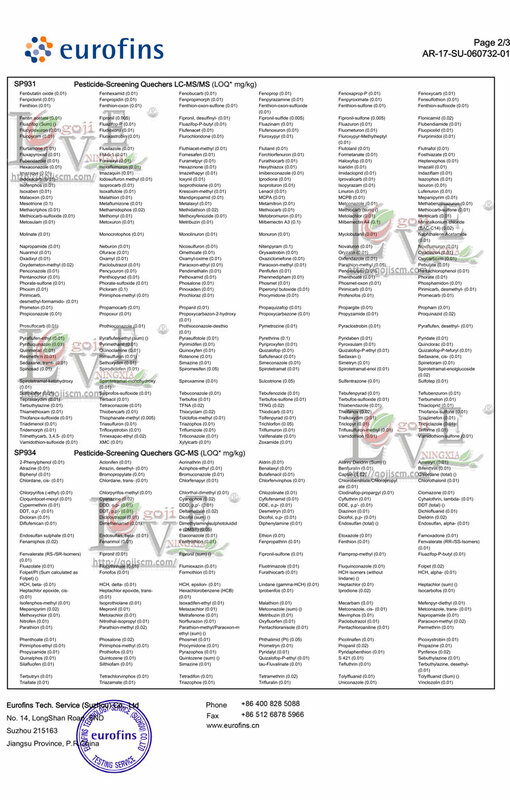 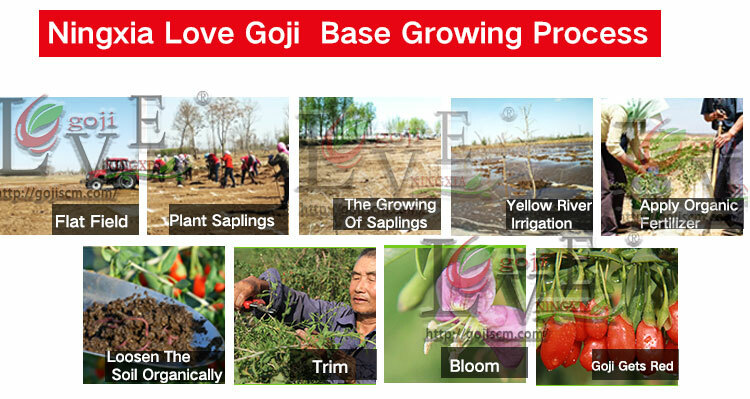 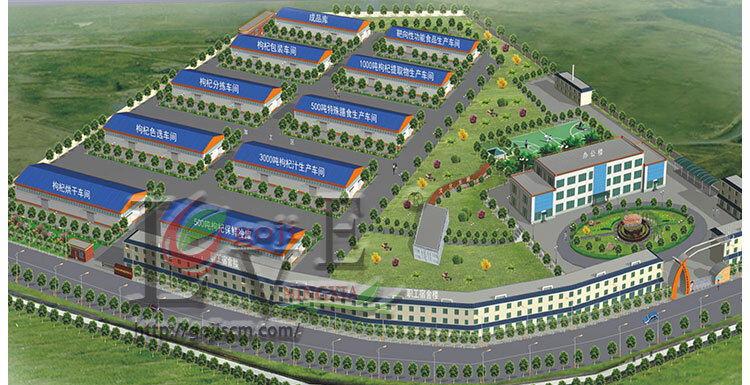 l Raw materials of Love Goji powder are selected from "Ning Qi NO.1"Goji berries, which are planted on the standardized cultivation base in Zhongning County, Ningxia Hui Autonomous Region. 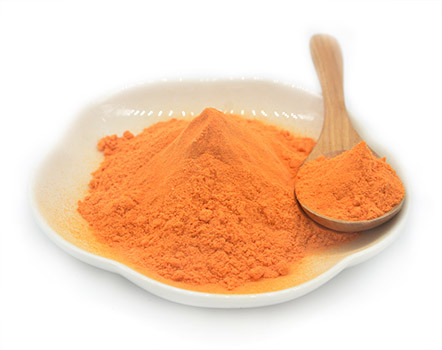 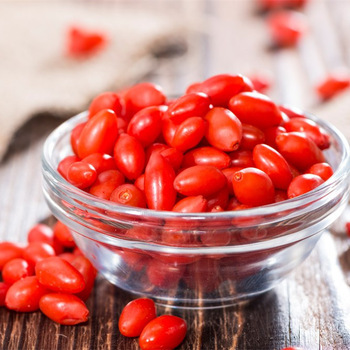 l The goji berry/wolfberry powder is widely used in the production of functional food, beverage, healthy products, which is also used as important raw material of beauty products. 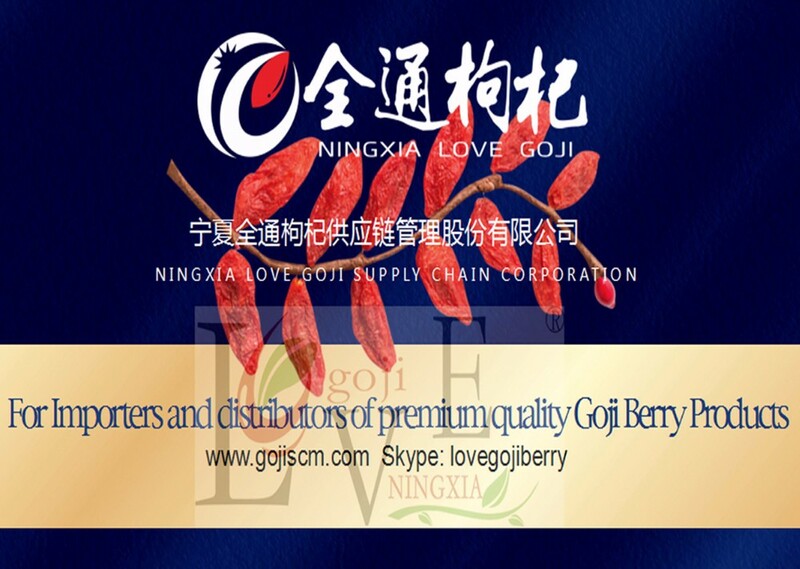 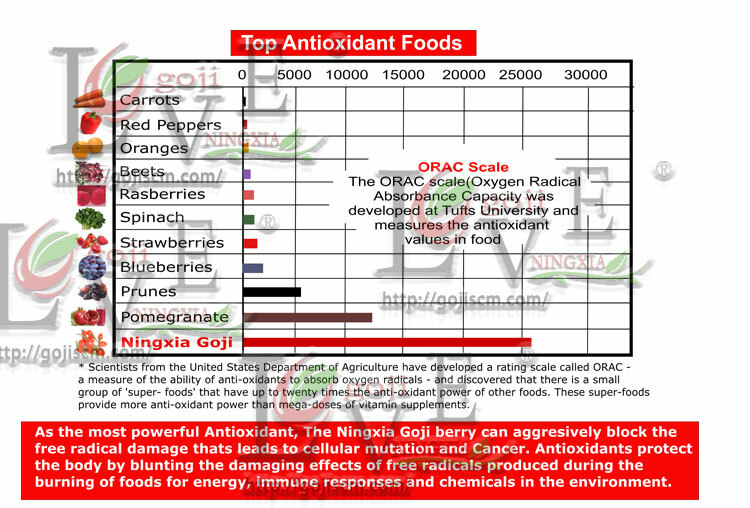 l The herbal goji berry has the advantages of low water content, good color, plump appearance and high commodity value, and processing of which is used the most ideal technique for drying Goji berries that is cacuum-spray dryness, which promises lower loss of bioactive substances.